Mid-life facelifts usually follow a familiar pattern. Power and transmissions remain the same, while radios and seat cushions improve. 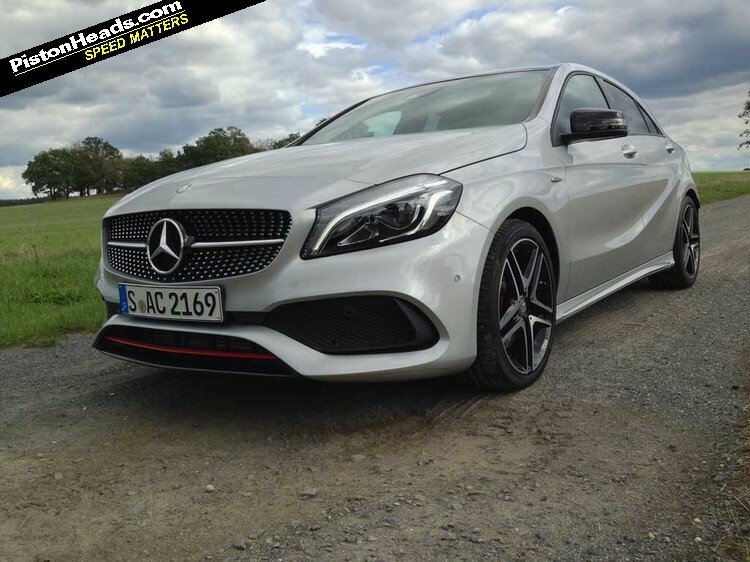 Then there's the obligatory cosmetic change to shame those who are still driving the old model into an essential keep up with the Joneses upgrade. 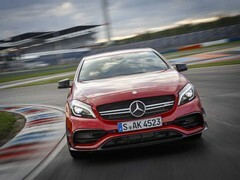 But not for AMG that mediocre path of the predictable. 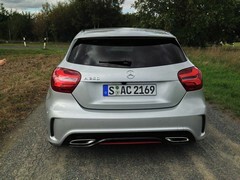 Because the one thing that the hottest (until the RS3 at least) and most expensive hot hatchback never needed was more power than its predecessor. So they gave us another 21 metric horsepower and a torque boost of 25Nm, or 18lb ft. 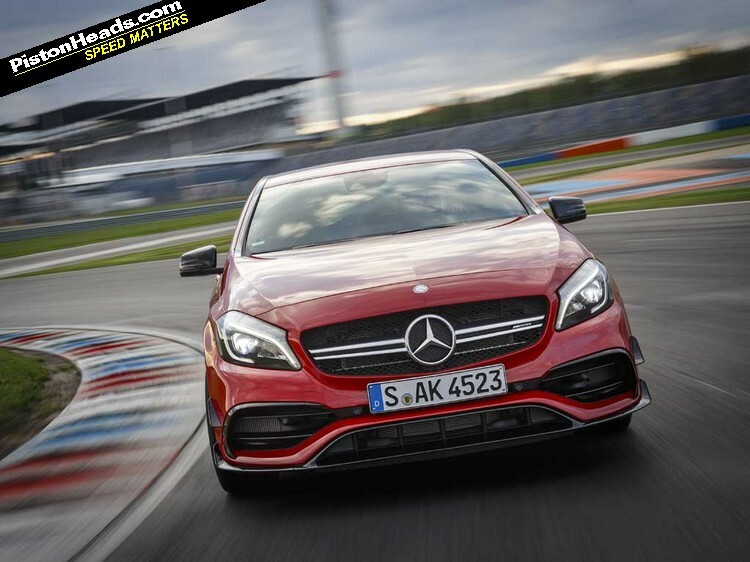 Impressive as it sounds, that's about a five per cent increase from 360 to 381hp. 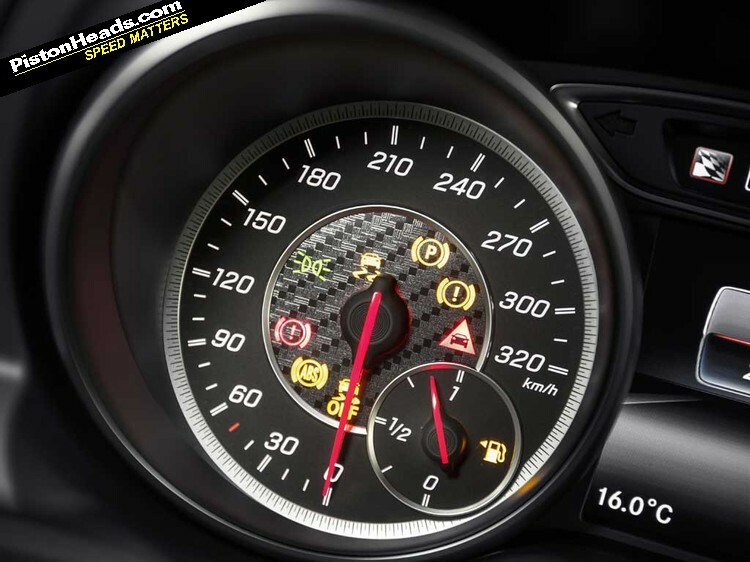 Therefore AMG shortened the gear ratios too. This double-combo hence provides the kind of acceleration totally incongruent with small hatchbacks anywhere but on a world rally stage. 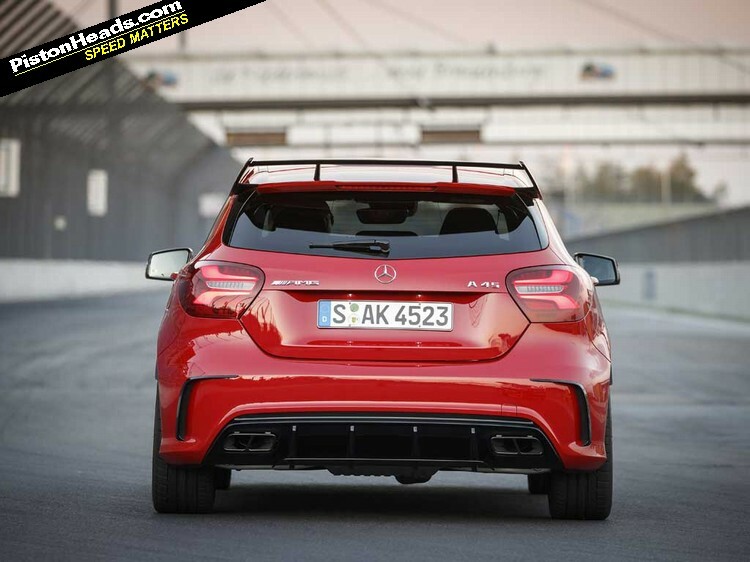 That's a connection not lost on the styling department either, as the £1,530 AMG Aerodynamic package looks more like something that should be flung sideways through the dirt at Lydden Hill rather than into a tight parking spot at Sainsbury's. 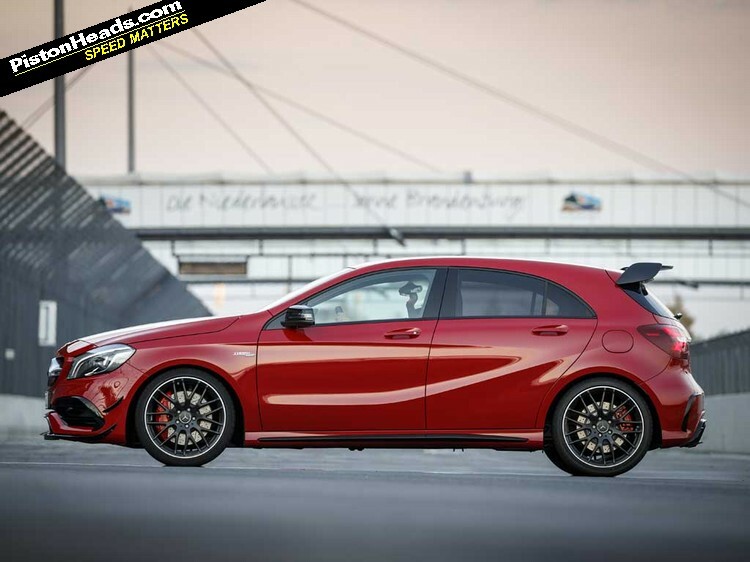 (Interesting fact: you need the AMG Night package first, so that big wing, front splitter and winglets will actually cost you a total of £3,125!). 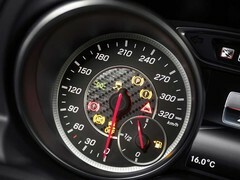 But let's not get lost in the eye-watering upgrades and packages, let's concentrate on the fun stuff. 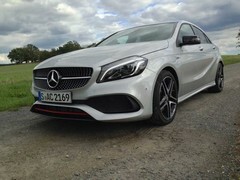 And the diminutive AMG is certainly fun. 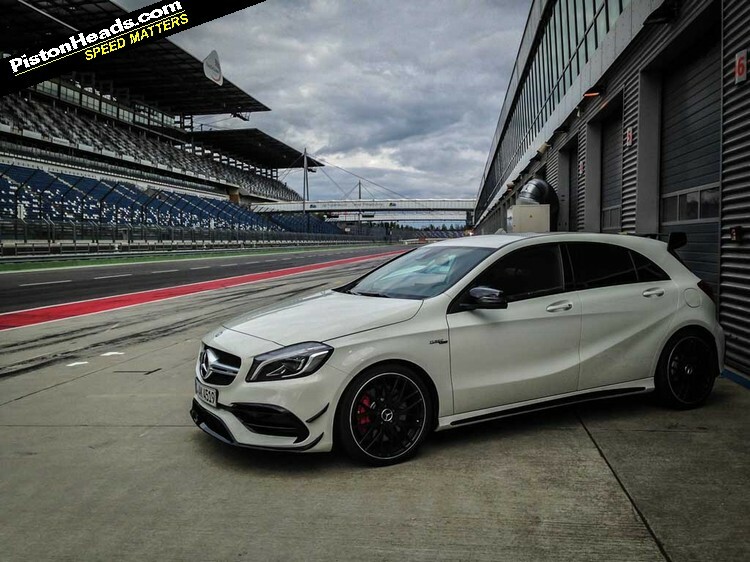 From autobahn blasting to B-road bumps and hairpins, the A45 devours it all with the appetite of a starving man. In at the front, out at the back, in a ceaseless fury of crack-a-lacking upshifts and maybe-not-quite-so-sharp downshifts. Inside the cabin, there's no random creaking and groaning associated with the previous models, and the feel of the most heavily used controls has been markedly improved. 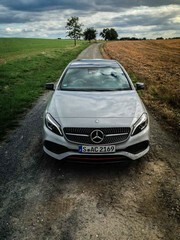 Our route took us from Dresden to Lausitzring, via some very fun back roads, where Bernd Schneider (ex-DTM champ) and Reinhold Renger (AMG Academy Chief Instructor) were waiting to lead us for three laps. 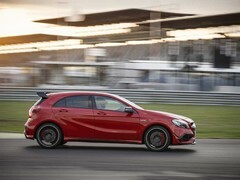 There we could try perhaps the most crucial upgrade to the A45 - the £1,395 'Dynamic Plus' package. 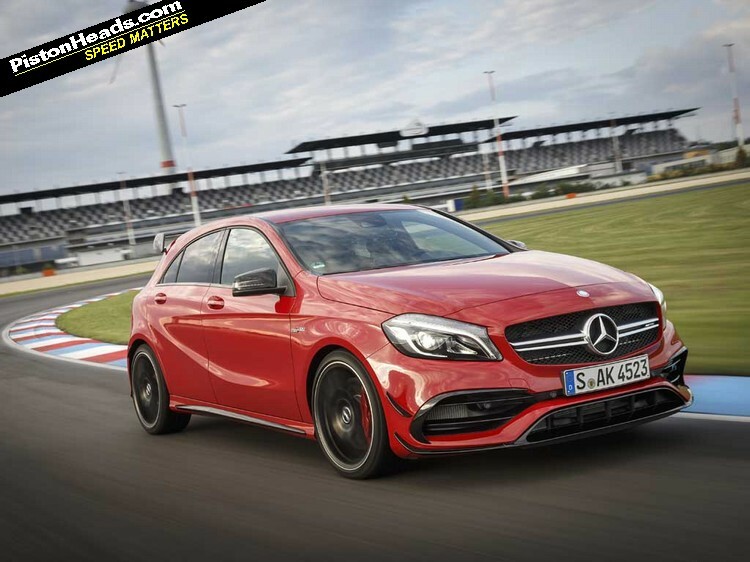 Active damping aside, it's largely about the addition of a mechanical limited-slip differential to the front axle. 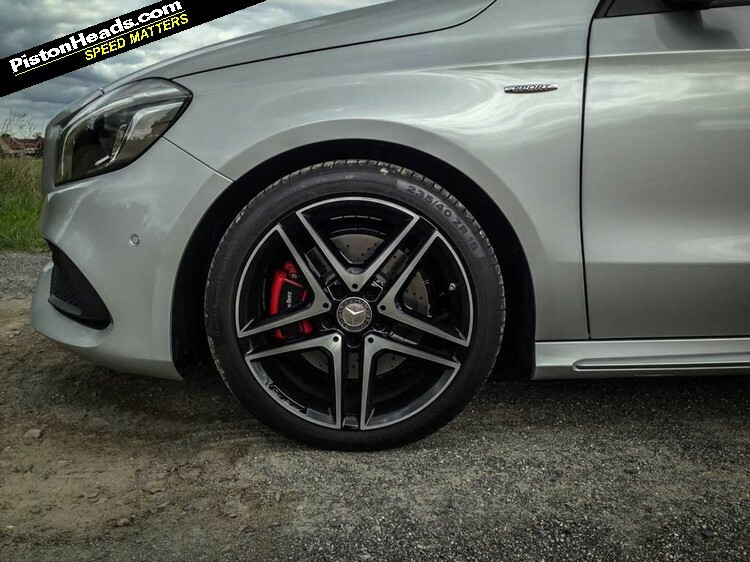 Previous and standard A45s all have an open diff, so at the first hint of wheelspin the Haldex-style centre clutch engages the rear axle to send the power backwards. 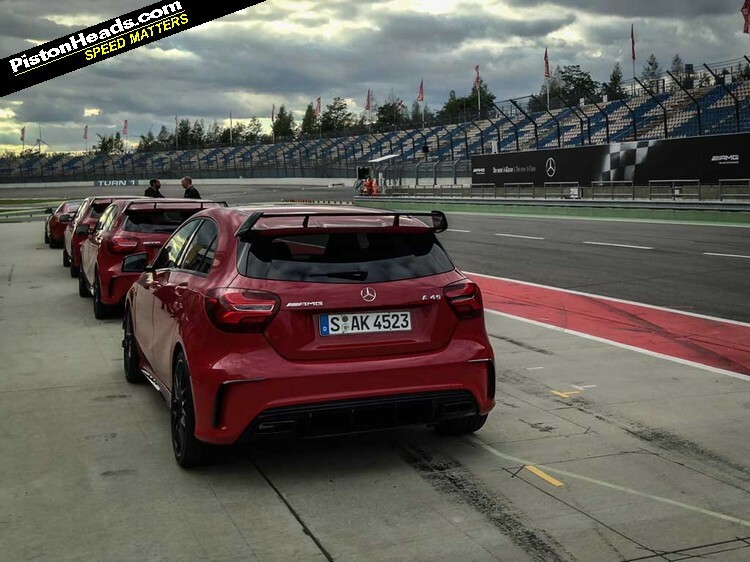 With an LSD the idea is that at high lateral loadings, the front will be able to transfer more total power to the steering wheels while not provoking understeer. 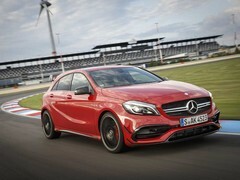 Nice theory but, to be brutally honest, it didn't make that killer difference to the somewhat understeery A45. Try not to read the word understeer and revolt though. 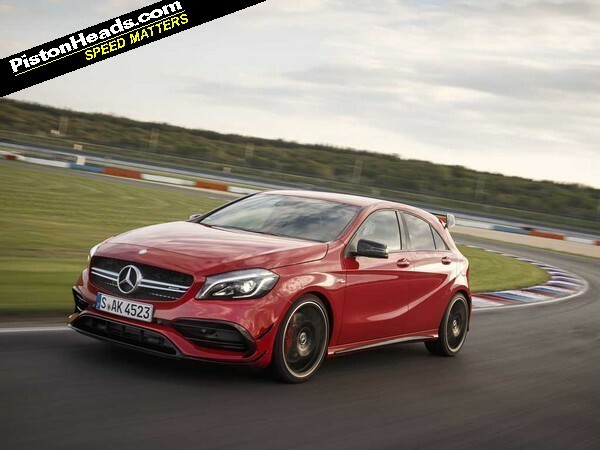 At these race track speeds, far in excess of what you're likely to achieve on even your favourite road, the power understeer at high lateral loadings is pretty much to be expected. 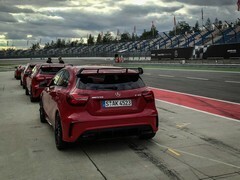 The somewhat playful chassis is held in check by the computers, but if you're confident (or daft) enough to hold down the ESP button, you can dig around enough to find some reasonable lift-off oversteer. 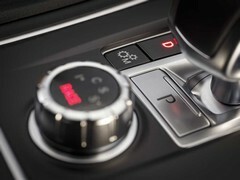 It's never as intuitive or as dramatic as an Evo or an Impreza though, instead it's more relatable to the 'safe' (some might say dulled) handling of a Golf R. Exiting a corner on a wave of Cosworth/GT-R style power oversteer remains a distant fantasy, despite the amount of power on tap. While the previously mentioned cushions aren't changed, the seat remaining a touch too high for a sports car, the radio is. Or rather, it will be. The ongoing saga of Mirror-Link and Apple CarPlay being that the first run of cars might or might not have that functionality. The Car Connection Committee is still not decided on a final spec, so buyer be warned. The big AMG brakes (350mm front and 330mm rear) are great on road, albeit often a little sharp, though never lacking power. But on track it only took a couple of laps before they began to feel a little limp. We suspect that it would only take a couple more laps than our prescribed three to wilt them completely. 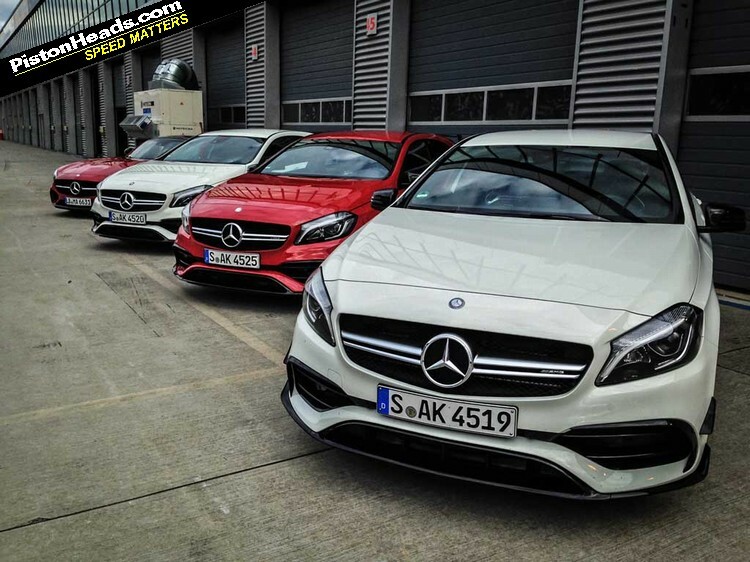 In AMG's defence, we have no idea how badly they'd been mistreated by previous groups during the day, but it shouldn't be ignored either. 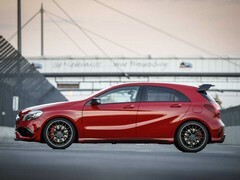 'Warm' A-Class better than hot one? Possibly! 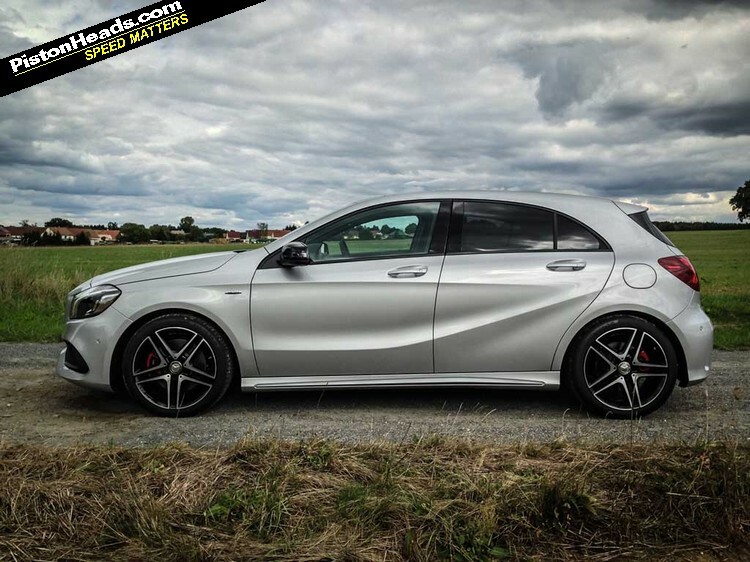 There is one real surprise from Dresden, and it comes another £11,000 further down the price list in the form of the A250 AMG. 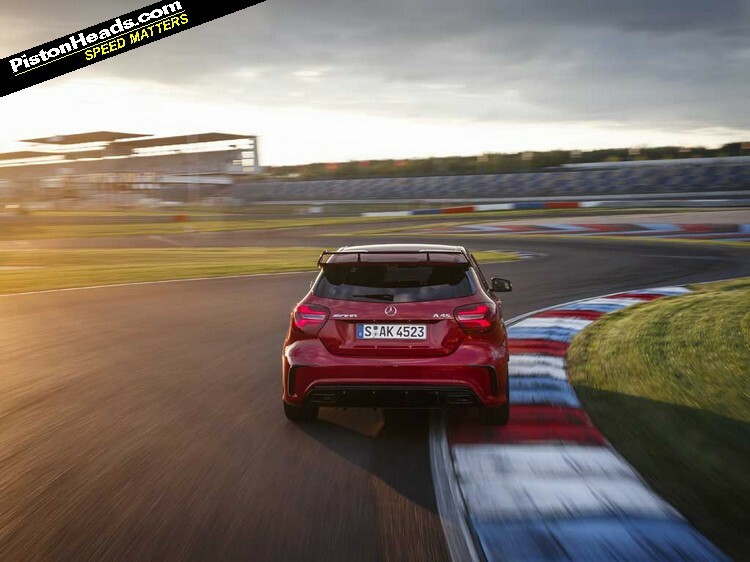 A freshly updated manual transmission and recalibrated electric steering rack conspire to produce a very classy and impressively rapid hot hatch. 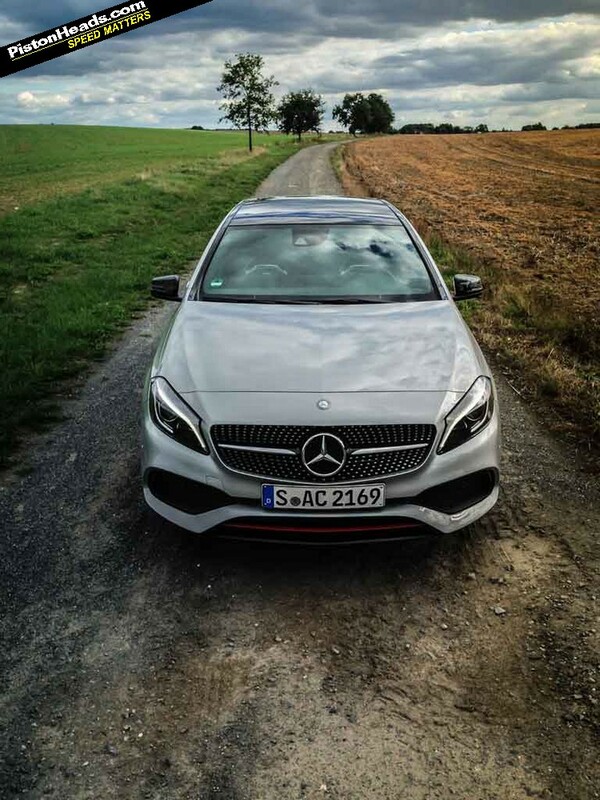 It's fun, fast and fluid over any road you care to drive. 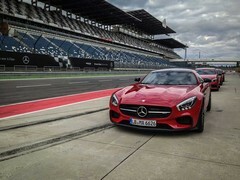 Torquey, full of vigour and with a 'box that's enjoyable in a way that's not been seen in AMGs since the 80s. Really. 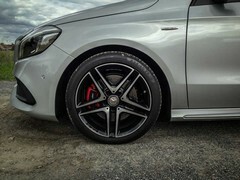 Even the brakes feel better than the A45, which is a neat trick for units that are obviously smaller and less glamorous. 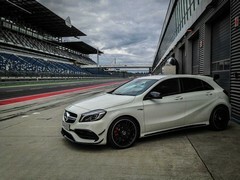 The addition of AMG Damping control as an option to this 'lesser' model brings all of the trick suspension of the A45 too. 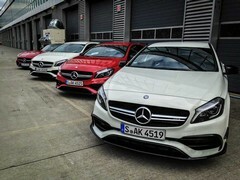 Compared to the dull lower models also available to drive (122hp A180 anybody? 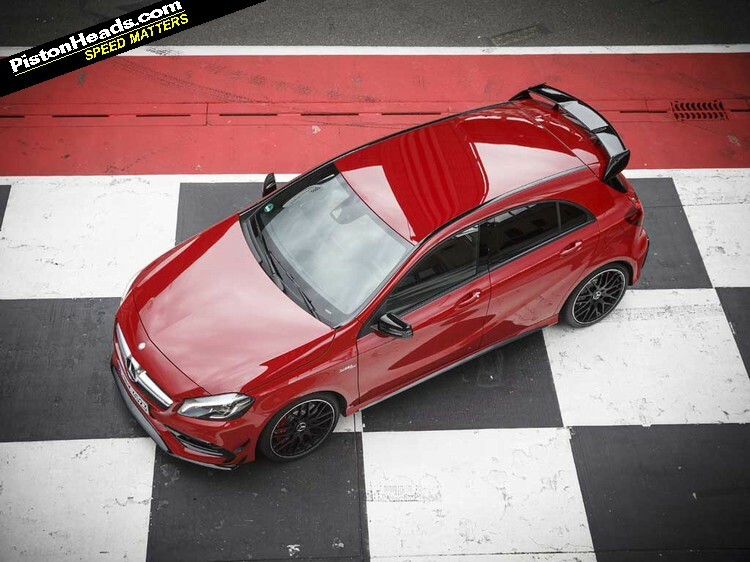 ), that could have been a rebadged Zanussi for all the excitement on offer, this 250 AMG is a real performance jewel. 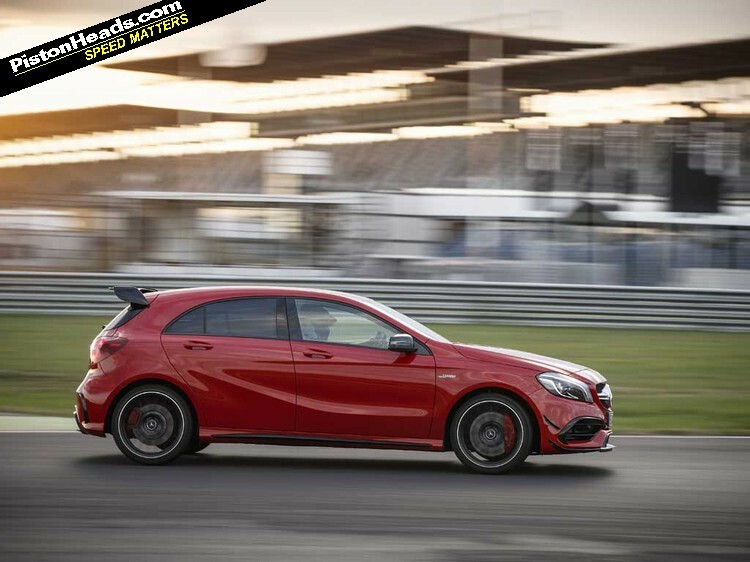 It's certainly expensive for a Golf GTI competitor - over £30K as tested - but it's fun and boasts all the AMG premium-lifestyle-aspirational-koolaid style of the A45. 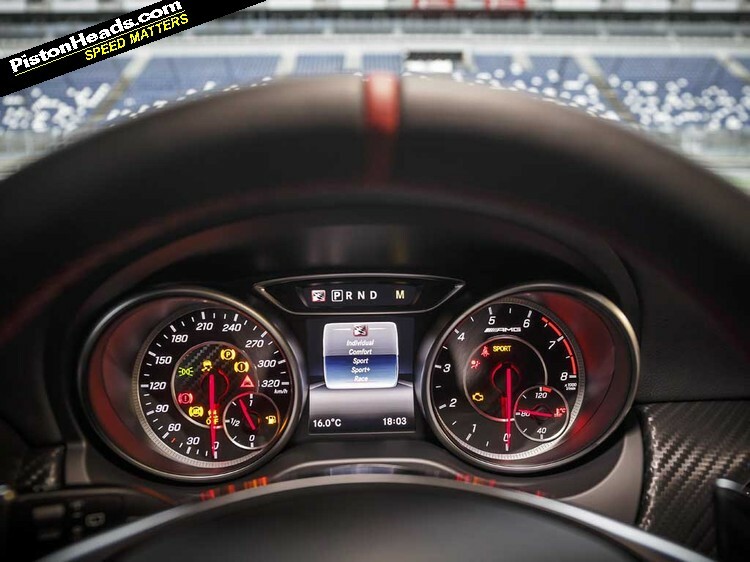 And if you didn't care about the badge, it wouldn't make that much sense in a world of Focus STs and Cupra 280s. 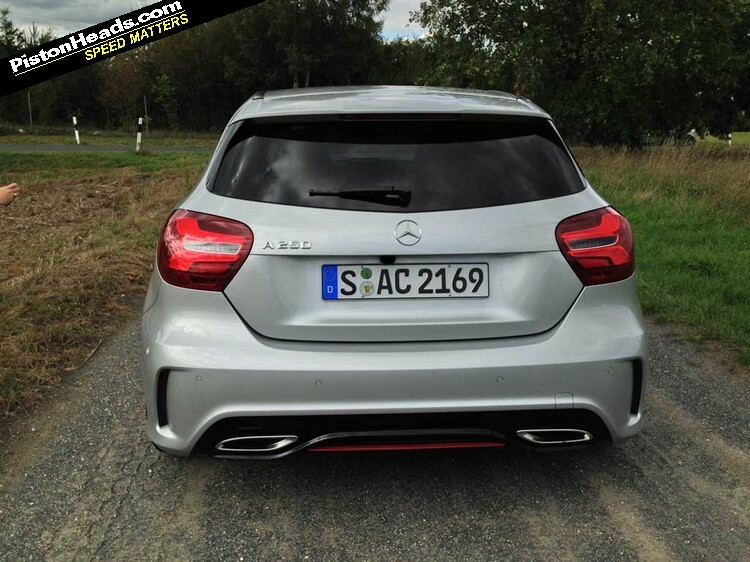 But the three pointed star does carry weight, and the AMG badge even more so. Very interesting addition. 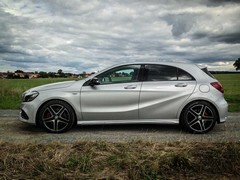 A manual performance A -class? Providing the shift action is any good, this could be unsung hero. 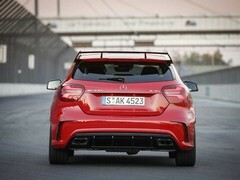 I like the look of these A45's, especially in the right colour and on the right wheels. 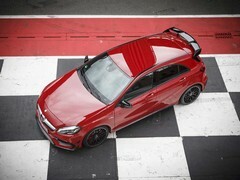 Saw a red A45 the other day, I was surprised at the ride height! It looked so much taller in real life, comically so!